As an Amazon Prime member, an ungodly number of movies and TV shows wait to be watched. The biggest challenge is simply choosing which one to tackle next. When it comes to movies, there are plenty of “best of” lists to browse, so in this article, we’re focusing on TV shows. Right now, we find ourselves in a golden age of serialized TV. The popularity of shows like House of Cards and Mr. Robot is testament to this. And while Netflix has become the go-to place to find new and original TV series 5 Ways to Find Good Movies or TV Shows to Watch Next on Netflix 5 Ways to Find Good Movies or TV Shows to Watch Next on Netflix Netflix knows exactly what you want to watch, but its recommendations section isn't always helpful. Get fantastic recommendations with these apps and sites on what to watch next. Read More , Amazon is also producing and broadcasting shows of equal, if not better, quality. We’ve written about some of these Amazon Prime TV shows 10+ TV Shows That Make Amazon Prime Worth the Money 10+ TV Shows That Make Amazon Prime Worth the Money Netflix is undoubtedly the king of the movie and TV show streaming services. However, Amazon Prime has some fantastic television shows that make it worth the asking price. Read More before. Shows like Transparent, Hand of God, Bosch, and The Man in the High Castle naturally make that list. But there are others that U.S. viewers can currently only stream on demand via Amazon Prime. Four nerdy, socially awkward friends try to survive in Silicon Valley after receiving funding for their social dating app. Imagine the insider geek-speak and quirkiness of The Big Bang Theory mixed with the Silicon Valley vibe of, well, Silicon Valley. Offering a glimpse behind the curtains of the fictional New York Symphony, a new conductor disrupts the Big Apple’s stagnant classical music scene. The first season (of two) has a slow start, but keep with it for the pay-off, with the pace rapidly increasing. And don’t worry if you have no interest in classical music. That cultural gap is closed via the comedic script and underlying themes of love, ambition, and money. Pushing the loyalty between friends to the absolute limit, Mad Dogs is a serialized version of the original (and brilliant) British TV series. A group of underachieving guys take a trip to Belize to celebrate the early retirement of a friend. After witnessing a terrible scene in the pilot episode, they soon find themselves out of their depth, as things turn very dark, very quickly. Do they have any chance of escaping alive? In the same way Netflix dipped its toe into the documentary genre with Making a Murderer, Amazon has dipped its toe with The New Yorker Presents. This is an intriguing and fascinating series comprising eleven 30-minute, expertly crafted documentaries from one of the most highly-regarded magazines on the planet. Guardian columnist Brian Moylan describes the series as “a visual equivalent of an episode of This American Life, a handful of stories and elements joined together for the NPR tote bag set”. An apt description. This is is a fantastically produced, nostalgic, reference-packed coming of age story set in 1980s New Jersey. Its inspirations obviously include Dirty Dancing and Caddyshack. The series sees David, the protagonist, find a summer job as a tennis instructor at a wealthy country club. While working, he meets an array of fascinating characters, each potentially having a lasting impact on his future. Rob, an American visitor to the U.K., accidentally gets Sharon, an Irish girl, pregnant after a one-week fling. As they try to work things out, the commitment becomes ever more serious, and ever more hilarious, as two cultures collide. The sweet likeability of this rom-com shouldn’t be underestimated. The story (currently four seasons) somehow manages to combine some pretty heavy topics with a laugh-out-loud sense of humor. Cyber-security engineer by day, hacker by night, Elliot (Rami Malek), is recruited by a mysterious hacker group to help bring down the biggest corporation in history. The two series of this insanely popular show have set Mr. Robot up to be a cult classic. The depth of the philosophy, acting prowess, and strangely paced plot make this show one that’ll be remembered for a long time to come. 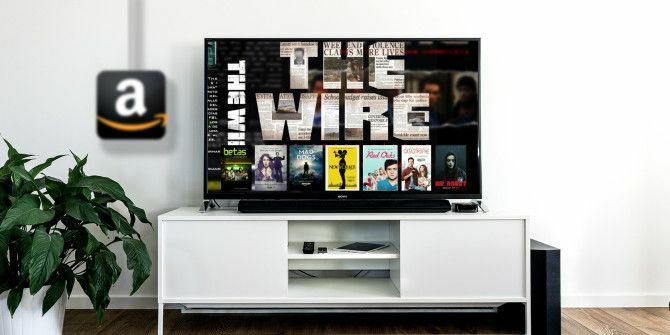 Now that Amazon has signed an exclusivity deal with HBO, all five series (2002–2008) of The Wire are available for exclusive streaming via Amazon Prime. The Wire is known as being one of the greatest TV shows ever created, with Salon describing it as “a Homeric epic of modern America”. Its complex plot, revolving around the Baltimore drug scene, is inspired by a range of real-life sources. Shown from both the perspective of the drug dealers, and law enforcement, this is a layered show that expands its scope as the series goes on. All six seasons of this unpredictable, riveting show are available exclusively on Amazon Prime. This is the story of soft-spoken U.S. Marshal Raylan Givens who has his own, unorthodox way of enforcing justice. That gun-slinging approach to law enforcement sees Givens hunted by criminals, and held at arm’s length by his superiors. This is an often under-appreciated series that manages to be completely stylish without being pompous. A classic that needs little introduction, the latest 10 episodes of Dr. Who are now available for exclusive streaming on Amazon. This never ending, cult sci-fi series follows the Doctor (a space- and time-traveling Time Lord), as he routinely changes the fate of the universe and its many inhabitants. After a disastrous war with America, Poldark returns home to England, only to find his country in economic ruin. The three series follow the protagonist as he attempts to rebuild his life, and re-find lost hope with a new business venture and an unexpected love affair. Yes, it hardly has any courtroom scenes, and a few too many movie-quote-offs, but Suits has a charm of its own. It’ll never enter the TV Hall of Fame, but it’s fun, witty, and packs in a huge amount of character development. This is the tale of an unqualified attorney who becomes a brilliant lawyer at one of New York’s most respected law firms. As his status as a complete and utter fraud is routinely almost exposed, this is a show more about the firm’s internal politics and loyalty, than it is about life as a lawyer. Which Will You Watch Next on Amazon Prime? It’s shows like these, which are currently only available to stream on Amazon Prime (US), that make an Amazon Prime membership, with all its other benefits 10 Awesome Amazon Prime Benefits You May Have Overlooked 10 Awesome Amazon Prime Benefits You May Have Overlooked Free two-day shipping is just the beginning. 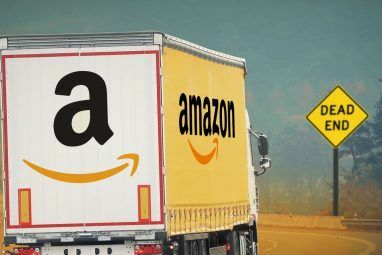 Here are some notable Amazon Prime subscription benefits you may not know about. Read More , a steal. 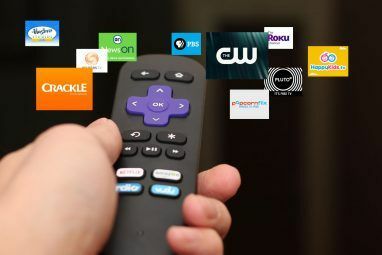 Not only can you share your Amazon Prime benefits with your family, but you can even download movies and TV episodes to watch offline How to Download Amazon Prime Videos to Watch Offline How to Download Amazon Prime Videos to Watch Offline Amazon Prime Video lets you download movies and TV shows to watch offline for free. Here's how to download Amazon Prime videos. Read More . Sure, there are other streaming services Netflix vs. Hulu vs. Amazon Prime: Which Should You Choose? Netflix vs. Hulu vs. Amazon Prime: Which Should You Choose? It has been years since we've compared heavy-hitting streaming services, Netflix, Hulu, and Amazon Prime. And with changes in pricing, content, quality, and interface, we thought it was time to revisit the topic. Read More to choose from. But Amazon has huge pockets. 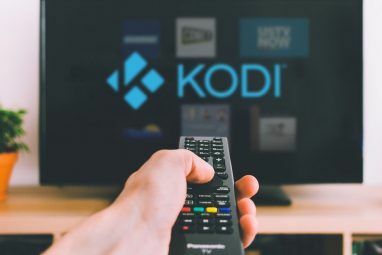 This is enabling the company to create some fantastic original content, while snagging valuable exclusivity rights from production houses such as HBO and the BBC. With this growing catalog to choose from, which TV show will you be choosing to watch next on Amazon Prime? Feel free to let us know your thoughts in the comments below! Man in the high tower is good too. Agreed. Man in The High Castle is fantastic. Though, as mentioned, we placed that one in a similar list, so didn't include it in this one. Not tried all of them but certainly Doctor Who, The Wire and Suits cost to watch so not part of Amazon Prime in the UK. Bit misleading as the article starts "as an Amazon Prime member" when if they are paid for series they are available to any one. Hi FB. It was mentioned a couple of times in the article that this only applies to Amazon US, I'm afraid.